As much of a fan as I am for both Parsons and Harris, I have barely listened to this record. I believe I bought it used, played it once, and haven’t put it on the turntable again. I picked up the record and was immediately blown away by the list of songwriters. 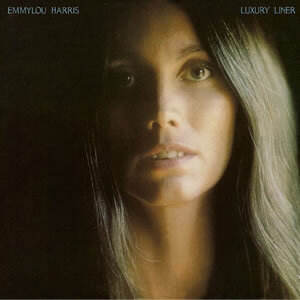 Gram Parsons, Townes Van Zandt, Susanna Clark, Chuck Berry, The Louvin Brothers, and of course, Emmylou, herself. The songwriters are good, and the songs are even better. It starts a cover of The International Submarine Band’s “Luxury Liner” and she perhaps does it even better than Gram Parsons did on the original. She also covers “She” from Gram Parson’s classic solo record Grievous Angel. “She” and “Luxury Liner,” duh. It is Gram Parsons after all. “Pancho & Lefty” is a gorgeous Townes Van Zandt song I had never heard before. “Making Believe” by Jimmy Work was the hit single from the record, and deserves to be. The only one I’d say is Chuck Berry’s “(You Never Can Tell) C’est La Vie,” yet there is still something rather charming about this song.